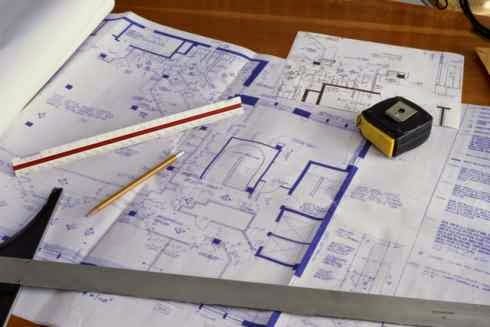 The estimation of building quantities like earth work, foundation concrete, brickwork in plinth and superstructure etc. can be worked out long wall short wall method and centerline method. Partly centre line and short wall method. In this method, the wall along the length of room is considered to be long wall while the wall perpendicular to long wall is said to be short wall. To get the length of longwall or shortwall, calculate first the centre line lengths of individual walls. Then the length of long wall, (out to out) may be calculated after adding half breadth at each end to its centre line length. Thus the length of short wall measured into in and may be found by deducting half breadth from its centre line length at each end. The length of long wall usually decreases from earth work to brick work in super structure while the short wall increases. These lengths are multiplied by breadth and depth to get quantities. This method is suitable for walls of similar cross sections. Here the total centre line length is multiplied by breadth and depth of respective item to get the total quantity at a time. When cross walls or partitions or verandah walls join with main wall, the centre line length gets reduced by half of breadth for each junction. Such junction or joints are studied carefully while calculating total centre line length. The estimates prepared by this method are most accurate and quick. This method is adopted when external (i.e., around the building) wall is of one thickness and the internal walls having different thicknesses. In such cases, centre line method is applied to external walls and long wall-short wall method is used to internal walls. This method suits for different thicknesses walls and different level of foundations. Because of this reason, all Engineering departments are practicing this method.